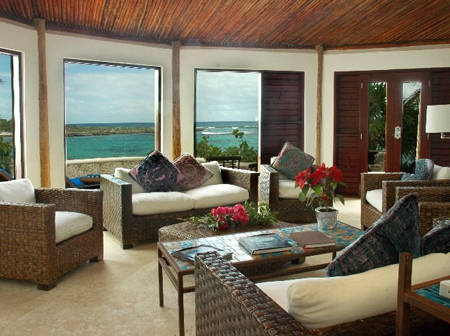 Casa Bella is one of only a handful of villas overlooking the inlet where the Caribbean Sea enters the exquisitely beautiful Yal Ku Lagoon and is a wonderful location to witness the sun or moon rising over the Caribbean. 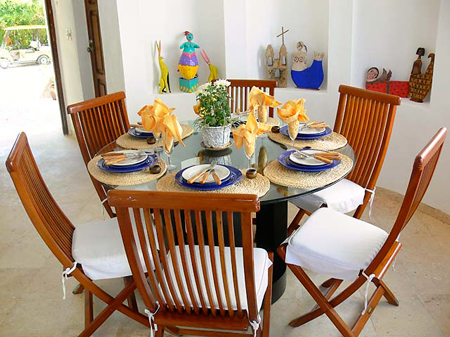 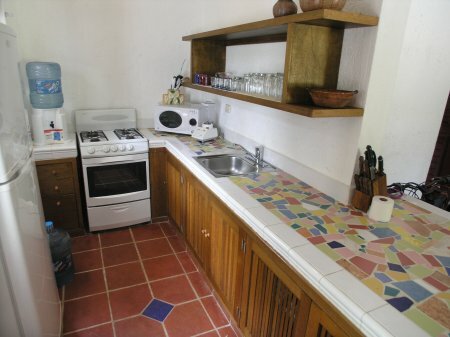 A good choice for larger groups of friends or family, Casa Bella has three spacious air-conditioned bedrooms in the main house, all facing the Yal Ku inlet and the Caribbean, and two more bedrooms in the poolside casita. 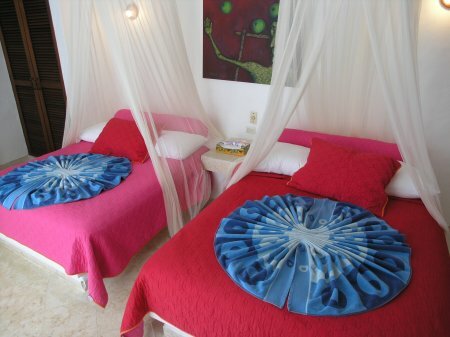 Both combined can comfortably sleep 15 people. 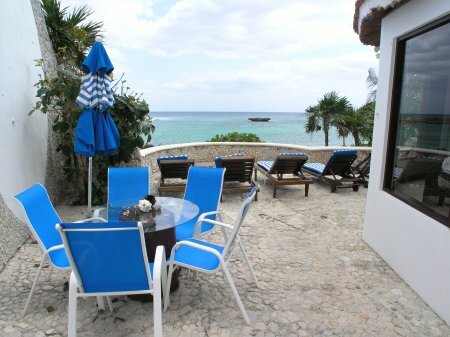 The main house has a furnished ocean side patio with chaise lounges for sunbathing and outdoor dining for six, with an umbrella for shade. 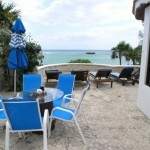 There is a barbecue grill for cookouts on the terrace. 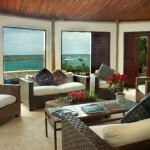 From the sun deck a path leads down to the water and your private entrance to Yal Ku Lagoon. 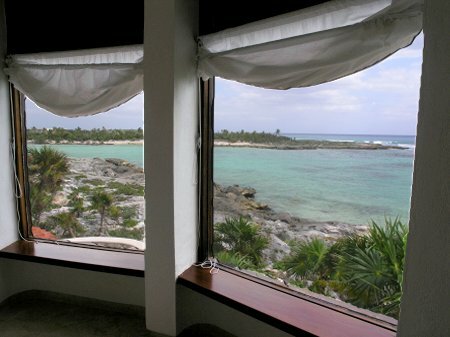 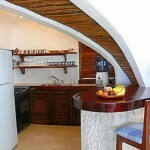 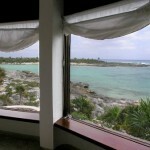 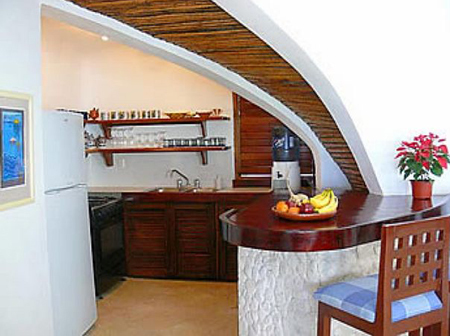 Similarly, on the 2nd level, another ocean side terrace has a panoramic view of the Caribbean. 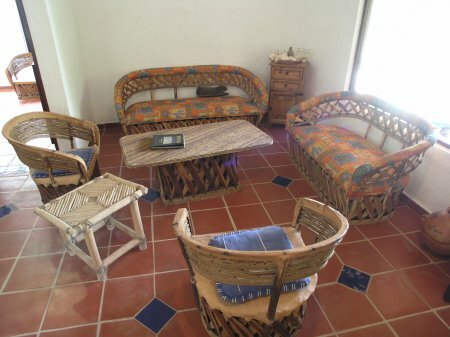 In the living room, an elegant Rattan living room set with comfy, thick cushioned sofas and chairs, coffee table and ottoman faces this magnificent view. 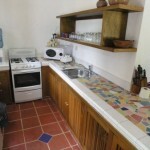 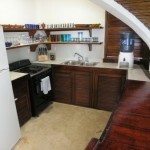 Adjoining the living room, a fully equipped kitchen with a six-burner stove/oven, microwave, toaster, blender, coffee maker, etc. 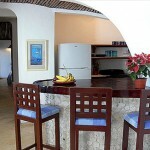 A raised breakfast bar with bar stools is a good place to sit and chat with the cook or enjoy an informal meal. 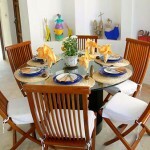 The formal dining room is just off the living room and kitchen, and seats six people. 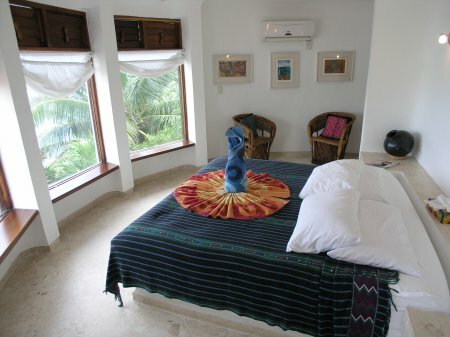 Two of the main house’s air-conditioned bedrooms are on the lower level. 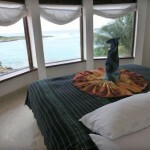 Each has two double beds and windows facing the sea. 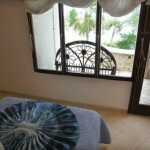 One has a door to the seaside terrace. 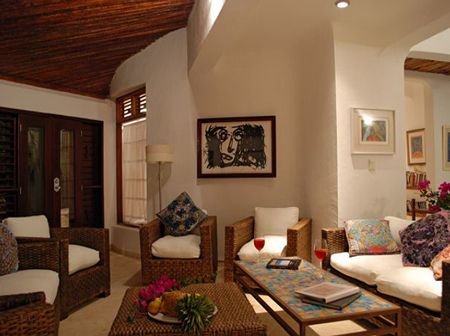 All the windows and doors have been crafted in rich native hardwood. 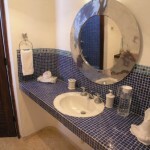 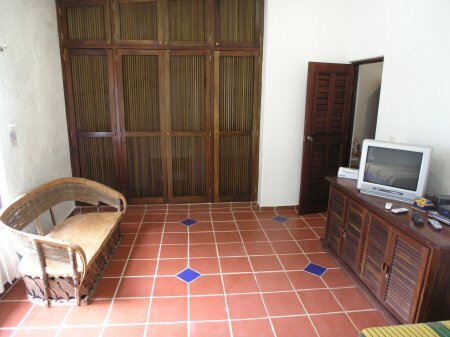 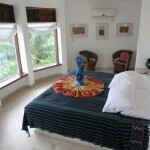 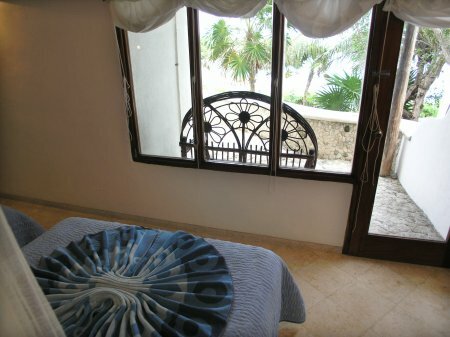 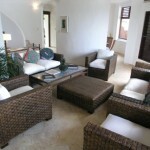 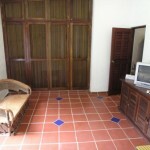 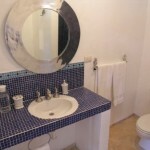 Upstairs, the master bedroom is air conditioned with a king bed and panoramic windows overlooking the sea. 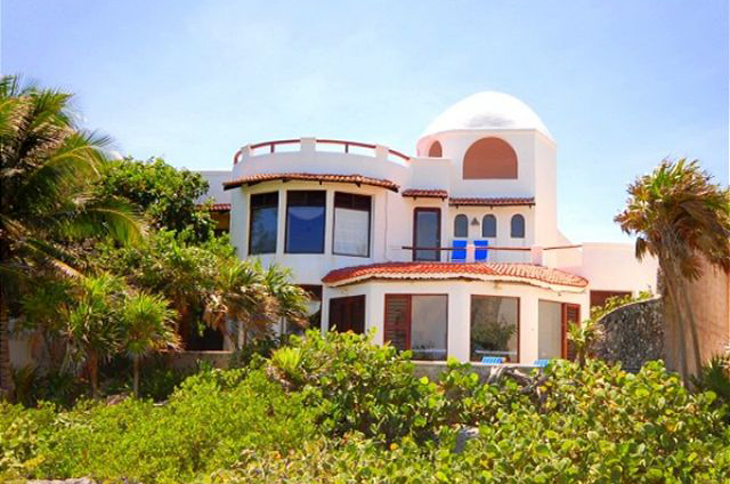 There is a private master study with a door to an exterior stairway that will take you up to the rooftop observation deck or down to the swimming pool. 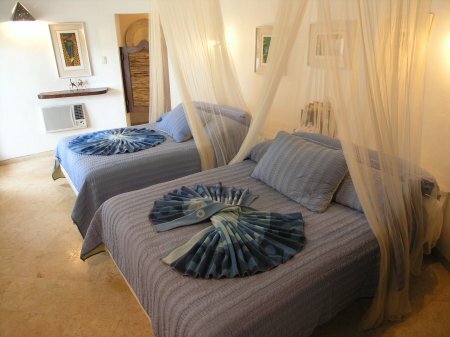 Very convenient, especially for night owls since you won’t be disturbing anyone’s slumber. 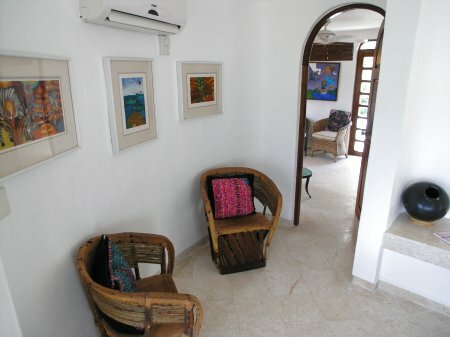 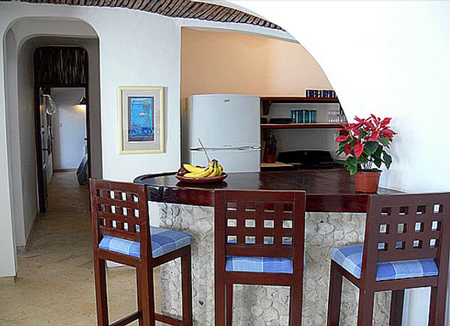 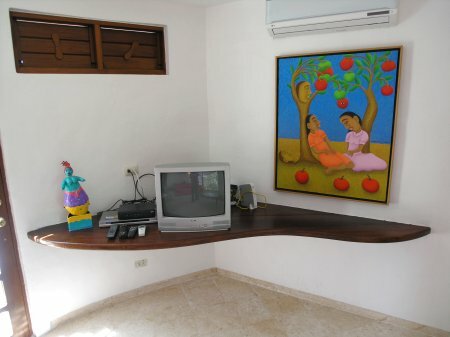 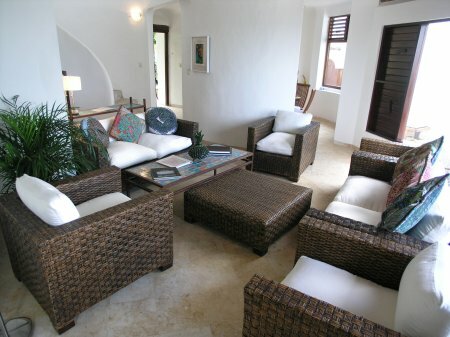 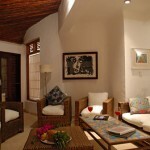 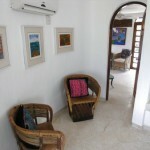 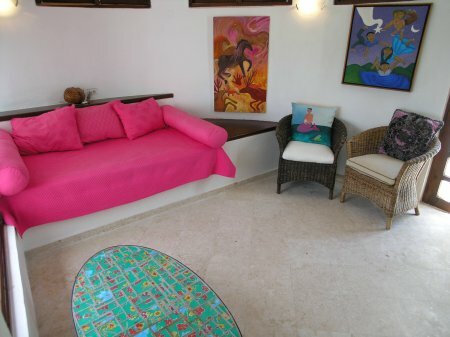 Original tropical art is throughout the house giving this home an authentic Caribbean feel. 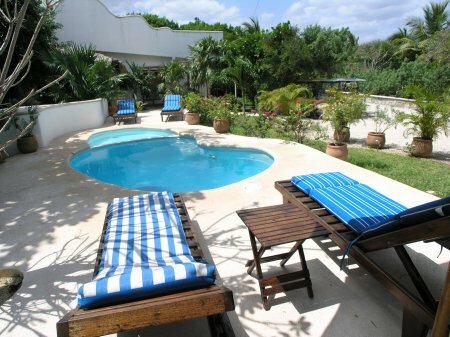 The rooftop deck has sun chairs and is awesome for sunrise coffee or a sunset margarita, not to mention late night stargazing. 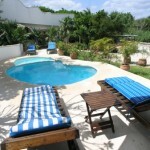 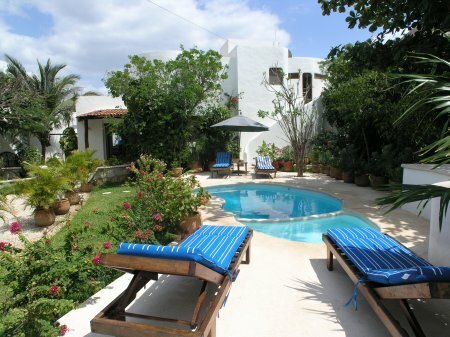 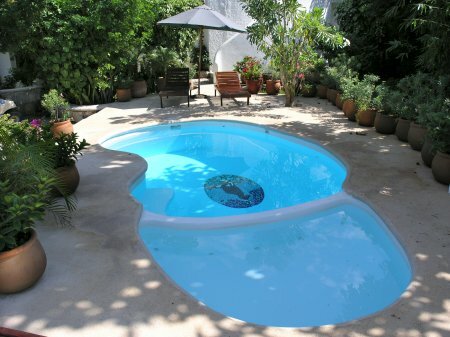 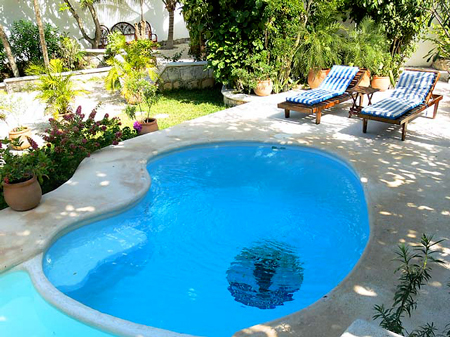 There is a swimming pool on the garden side of the house where lush tropical plants flourish. 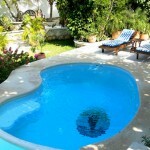 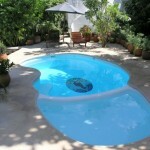 The pool has several chaise lounges for your tanning sessions and relaxation. 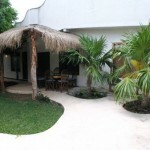 The guesthouse is next to the swimming pool and driveway on the garden side of the property. 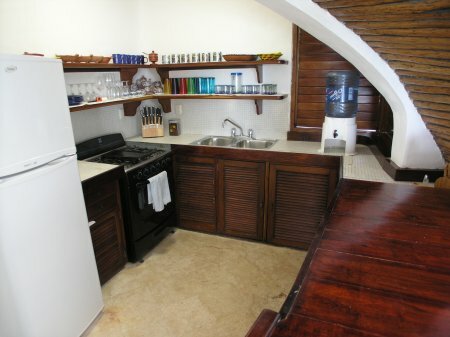 It has a living room with satellite TV, DVD player, and iPod dock. 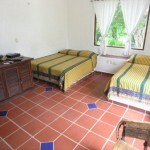 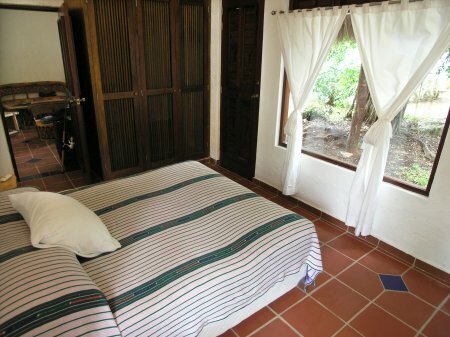 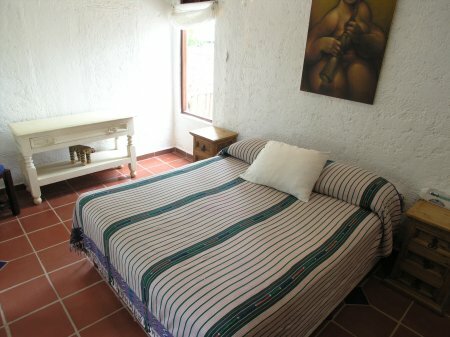 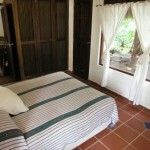 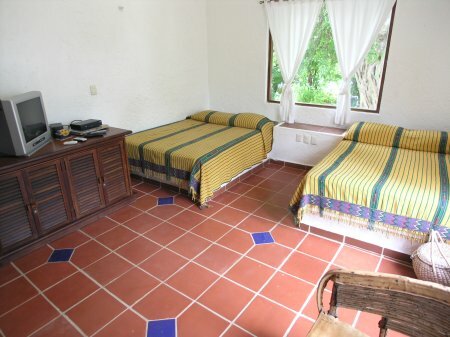 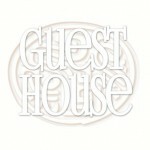 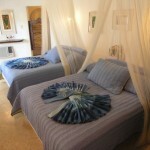 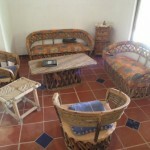 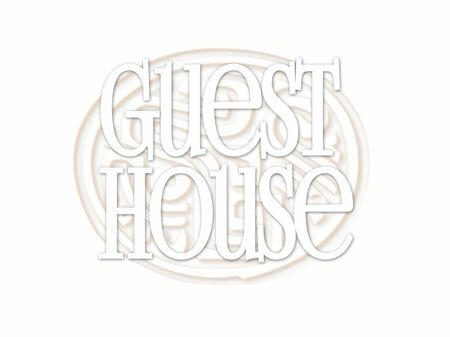 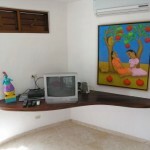 The guesthouse/casita has two additional air-conditioned bedrooms, one with a queen bed and the other with two double beds. 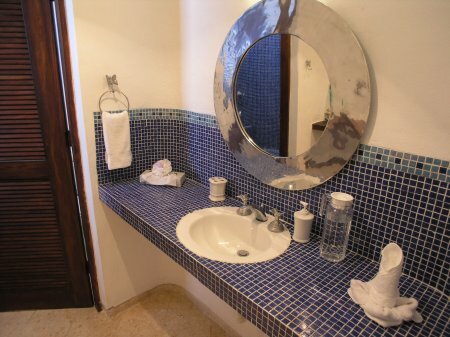 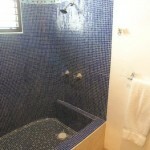 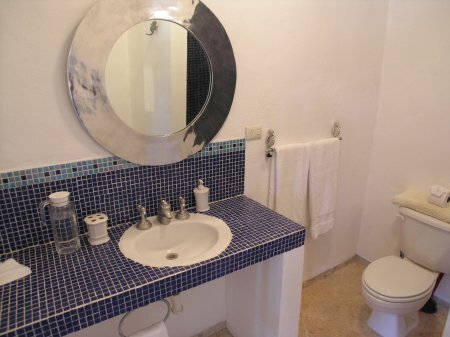 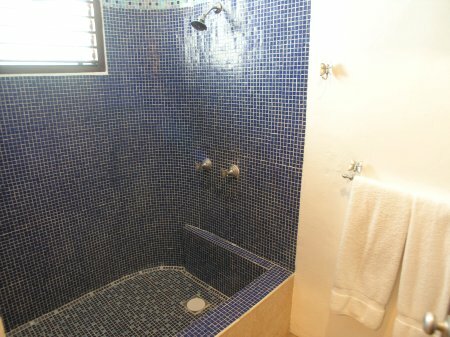 There is a shared bathroom for the bedrooms. 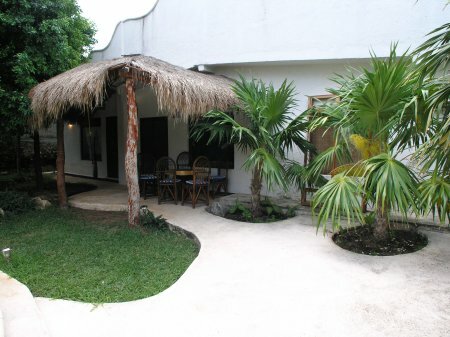 Next to the pool area, the gravel driveway provides private off street parking for your rental car. 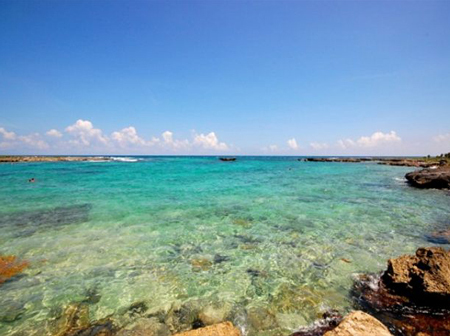 Less than 100 yards away (100 meters from the house) is beautiful Yal Ku Lagoon, a fun and fantastic swimming and snorkeling area. 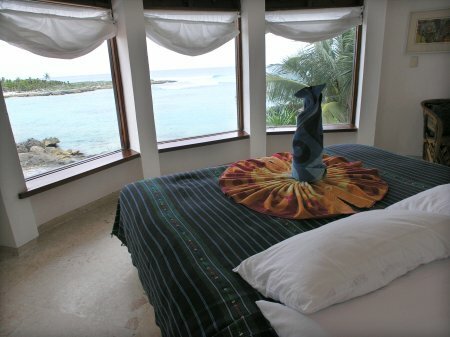 There’s plenty of colorful tropical fish to see and the occasional turtle or ray as well. 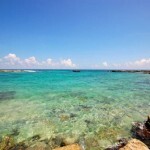 Snorkeling in Half Moon Bay is certainly worth noting, as you’re likely to see even more turtles and rays. 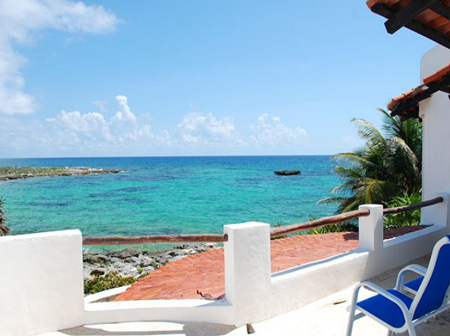 Akumal Dive Adventures has the gear and La Buena Vida restaurant and beach bar is great for meals and cocktails as you enjoy the beach and water of Half Moon Bay. 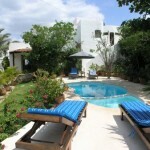 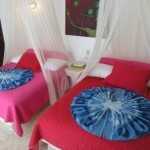 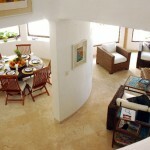 Central Akumal is a few minutes ride by golf cart or car. 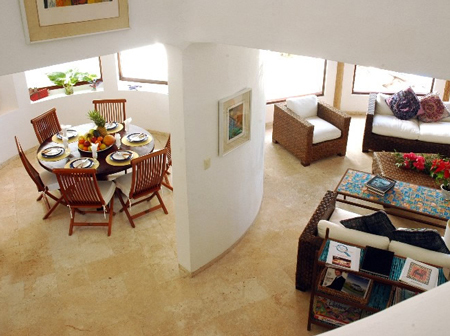 There you’ll find Akumal’s magnificent main beach, complete shopping, more restaurants, beach bars and all your vacation supplies. 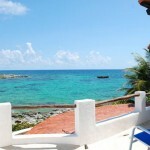 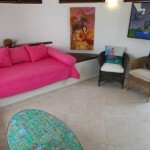 (1) Round-trip airport transfer for up to 10 people (1 ride to Akumal from the airport and 1 ride back).